Serenity consists of a unique combination of sensuous grace, flexibility, movement and elegant poise. 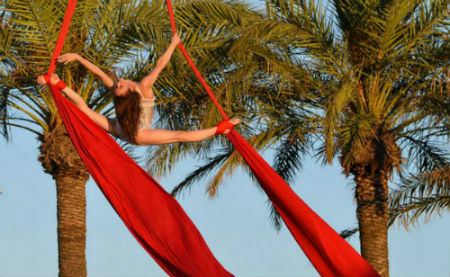 They have a variety of skills including duo or solo aerial silks, duo or solo aerial hoop, duo contortion acrobalance, rhythmic gymnastics and dance. Serenity has performed professionally in the last year in numerous places and performances including Pakistan, Beijing, Turkey, Dubai, Germany and many London locations. 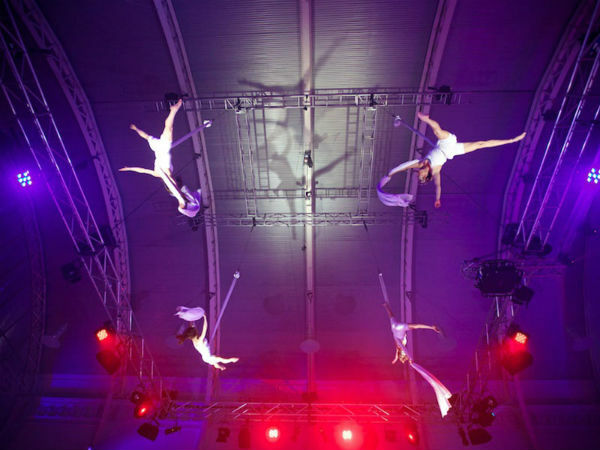 Performing for corporate shows, themed events, launches, television and magazine shoots. These are a few of the silk acts that are performed on a regular basis solo or double. New acts are often created to suit clients needs and requirements. Each of the above acts includes fluid transitions and extreme flexibility. 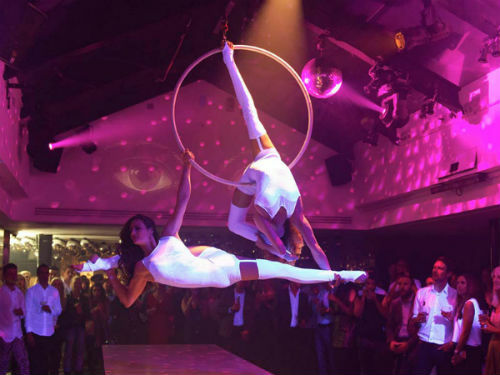 These are two of their hoop acts that are performed on a regular basis solo or double. New acts are often created to suit clients needs and requirements. 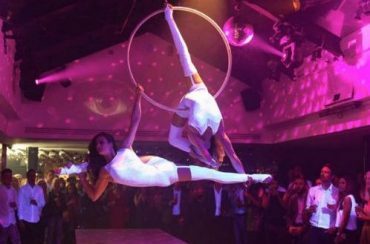 Each of the above acts include fluid transitions, extreme flexibility and partner work whilst the hoop is suspended and spinning in the air. Serenity are the only performers of this act in the UK. This unique act has a sensuous ocean theme, incorporating elegant emotional movement as the net is gracefully spun from a winch. The Net can be performed as a double net act or two solo nets. Combination of contortion, hand balancing and acrobalance. 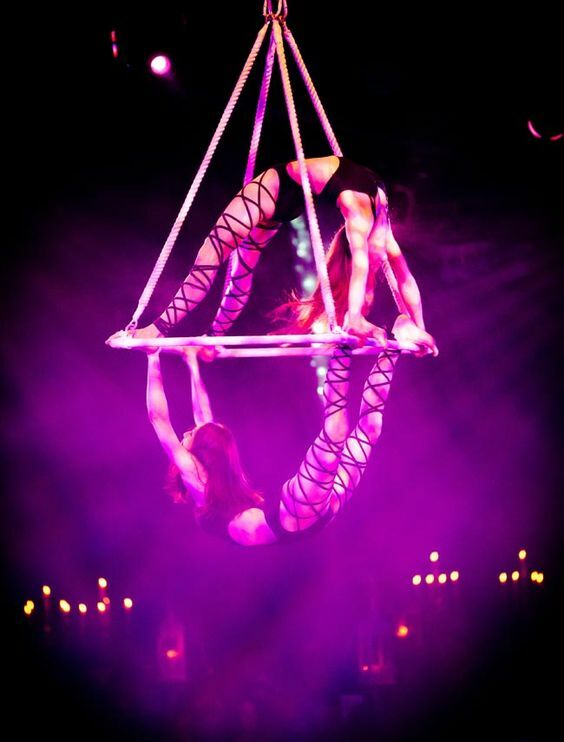 These acts show various balances with sensuous movement, precision and controlled flexibility. Unique solo contortion act combining hand balancing, extreme flexibility and dance. Can be performed to music of any length or style. A ground based act of dynamic rhythmic gymnastics made up of performances with ribbon, hoop, clubs, ball and rope. The performance blends dance, flexibility, co-ordination, rhythm and technique. Can be performed to music of any length or style.